Pest description and damage Several species of spider mites can cause damage in deciduous, evergreen and coniferous ornamentals. Mites are all 0.02 inch or smaller. Adults and nymphs can be yellowish, greenish, or reddish brown, depending on species. Female European red mites are round with red bodies; males are yellowish-red. 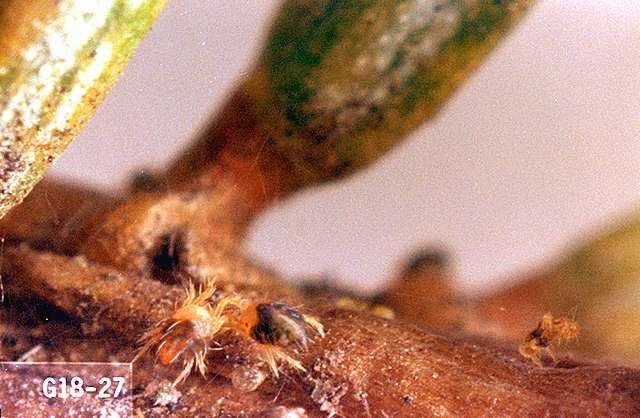 Spider mites are oval and yellowish-brown or green with distinctive black spots on the body. 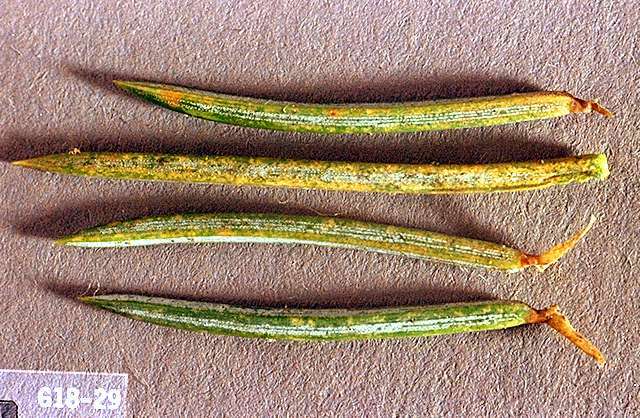 Mites damage leaf scales and fruit indirectly by feeding on leaves causing leaf stippling and bronzing that later turns brown. The reduction in photosynthesis causes loss of vigor.